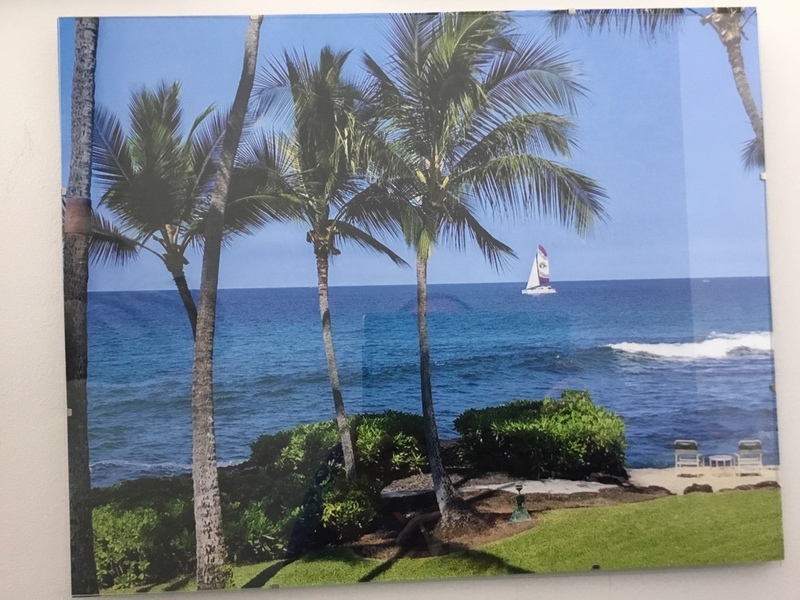 My dear wife Karen’s year of deliberation about the photo she had made of one of our digital captures from our family trip to Kona led to her determination that bigger would be better. 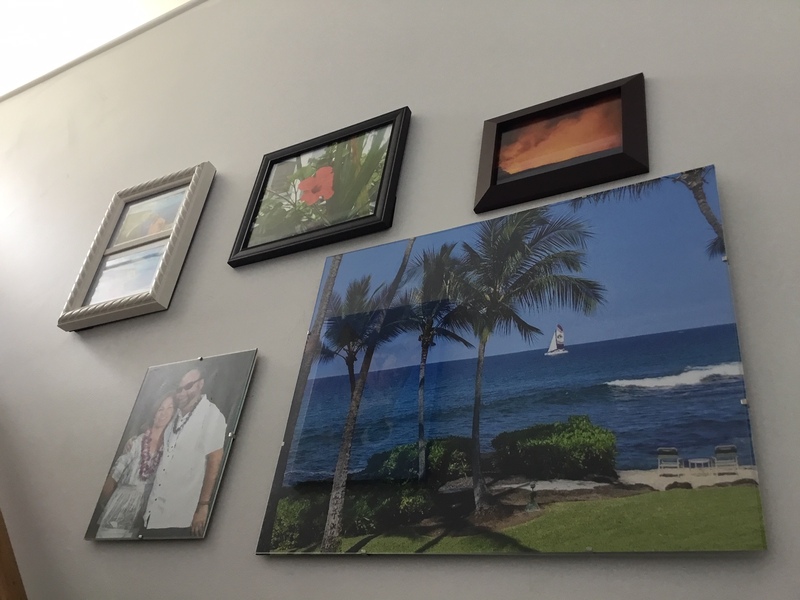 And so our Hawaii wall has been altered. I do believe none of us will forget our time in the 50th state. It does look like we can disappear into it. Good call, Beth! What stunning colors to go with those stunning memories. The memories keep us happy in winter for sure, MBC. Hawaii is nice in February. Time for a repeat visit. I won’t argue with you, Tom, but my finances will. It is a nice dream about the return, Nance.